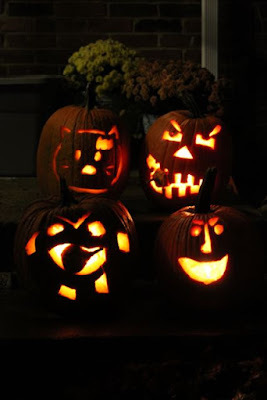 My children carved their pumpkins yesterday. Very spooky! 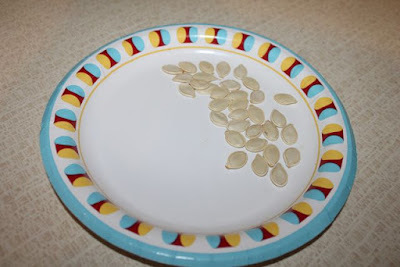 There were so many seeds! I collected a few, washed them, and let them dry overnight. 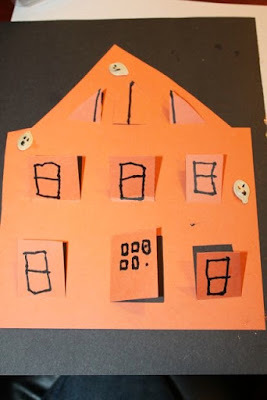 The seeds gave me an idea for craft to accompany Ghosts in the House by Kazuno Kohara, one of our favorite Halloween books this year. 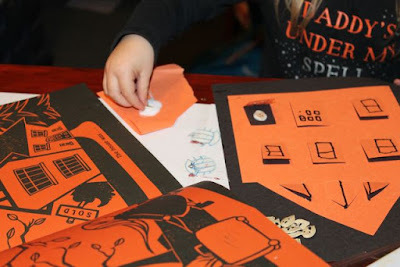 The book is illustrated in orange and black. 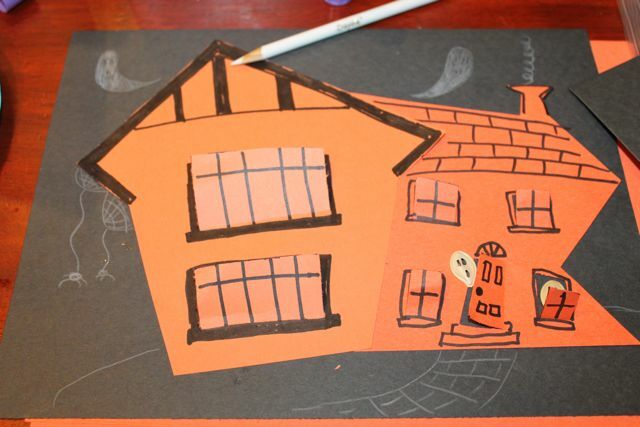 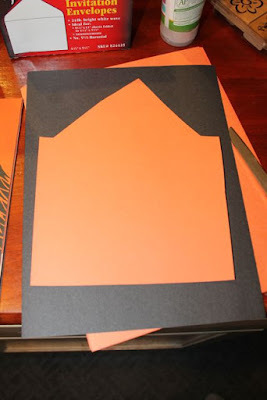 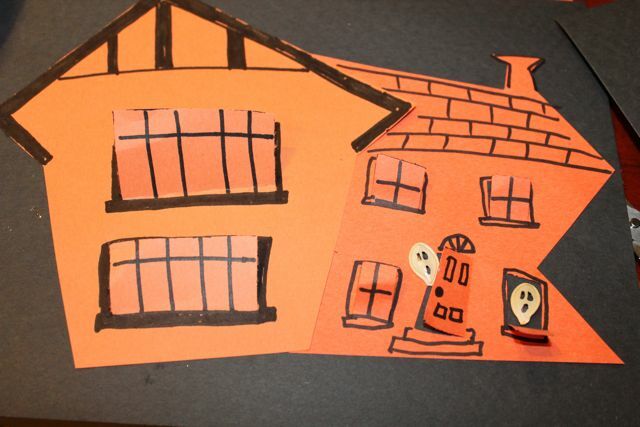 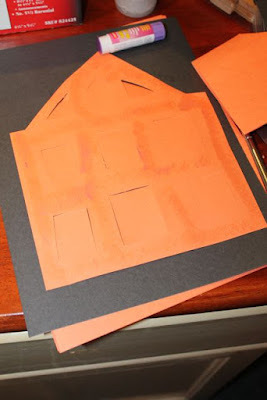 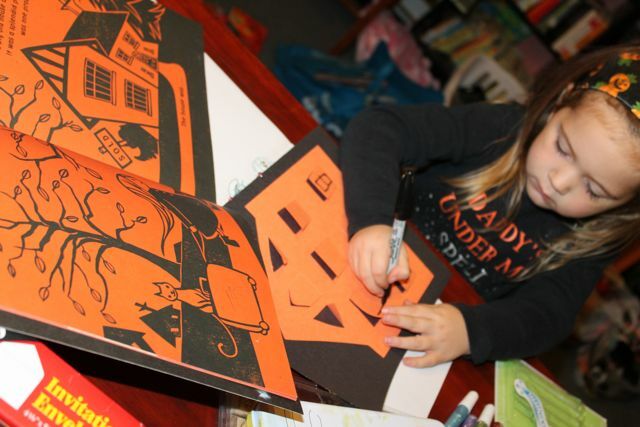 I grabbed a few pieces of orange and black construction paper and cut a house shape out of an orange piece. 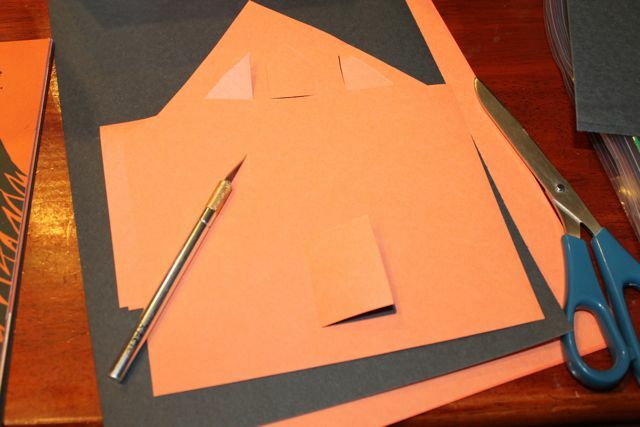 I used an X-acto knife to cut window and door flaps. Then, I used a glue stick to paste the house to a black piece of construction paper. My daughter used a black marker to add details to the windows and doors. 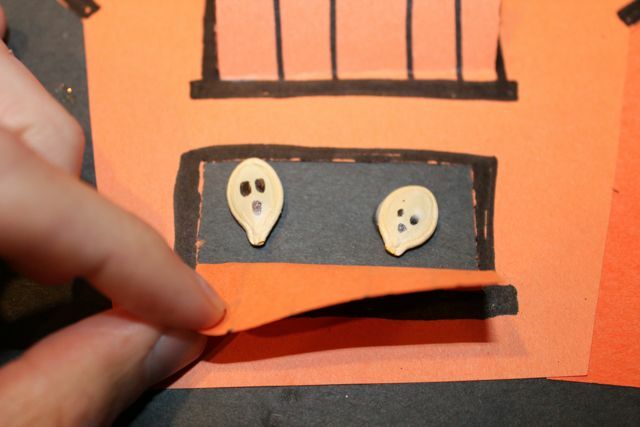 She used Ghosts in the House for inspiration. 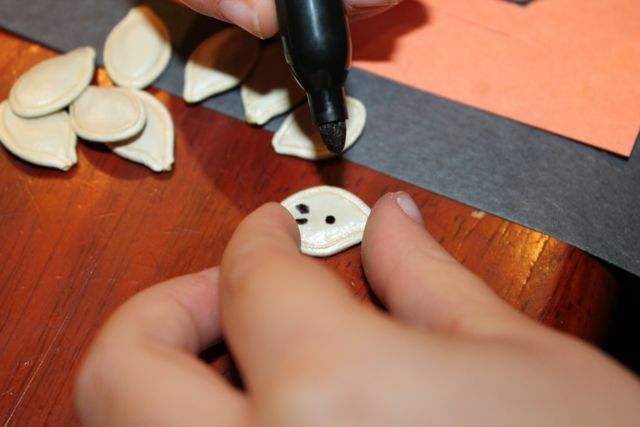 Next, she used the black marker to draw ghost faces on the pumpkin seeds. 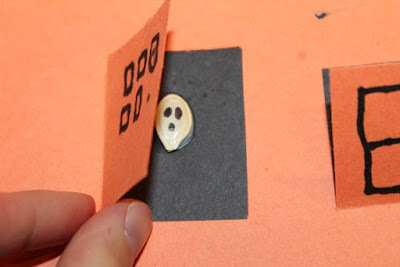 She dipped the back of the seeds in white glue and pasted them behind the flaps. She added a few ghost pumpkin seeds to the outside too. 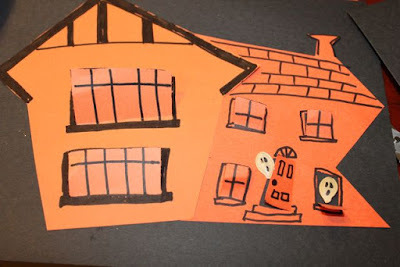 This was my haunted house. Try using a white colored pencil or white crayon to add more ghosts to the background.